The 2018 Badge Summit was held in Chicago at Columbia College on Saturday, June 23rd. Organized by badge champion Noah Geisel, this event drew K-12 and higher education representatives from across North America. A conference highlight for me was the keynote address, given by respected Chicago educator Samual Dyson. Mr. Dyson spoke about the role of badges in education and how, when used intelligently, they can enhance or even transform educational practices. To illustrate his point, Dyson referenced the SAMR model of educational technology. 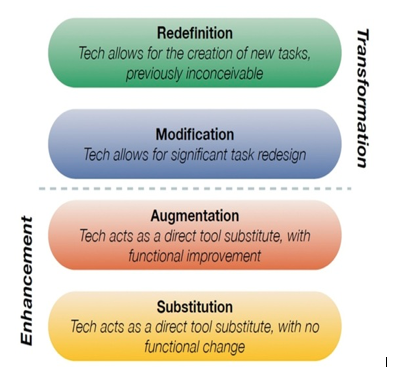 The SAMR Model for integrating technology into teaching was developed by Dr. Ruben Puentedura (illustration below). The model addresses the level of change introduced by a new technology. Change can be non-existent, or the technology introduced can create a significant modification or a complete redefinition of education. Dyson’s point was that educators should implement new technology so it transforms the student’s experience. Digital credentials, when implemented thoughtfully, can transform both teaching and learning. 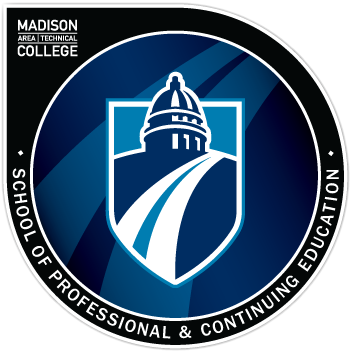 When we introduced badges for non-credit students at Madison College in 2012 the original intent was to provide value-added portable credentials for the learner. Therefore, my original goal was to augment what students were getting from their non-credit vocational coursework. As we began implementing badges I quickly realized that rather than augmenting, we needed to redesign the entire educational process around badges. The badging technology became a catalyst for a much-needed learning redesign. The learning design that we undertook both transformed and improved the rigor of our non-credit vocational programming. The badging technology became a catalyst for a much-needed learning redesign. The learning design that we undertook both transformed and improved the rigor of our non-credit vocational programming. The first phase was to work with our non-credit faculty. We needed to map out their curriculum in terms of learning outcomes and assessments. What skills were students learning and how was the learning evaluated? Was there consistency between instructors who were teaching the same course? This work needed to be done in order to achieve badge rigor. Involving employers or mapping to industry standards was also critical in building both the curriculum and the badges. Student engagement regarding badges was a key next step. Both our traditional and non-traditional students had to be trained on badges. Students did not understand what badges were or how badges could be used to enhance a job search or translated into a promotion. Students reported that badges motivated them to a higher level of performance and, they found that posting their earned badges to social media was useful. Closing the loop on badge transformation, our healthcare employers used the badge credentials to identify job candidates with leadership potential. After introducing our Healthcare Soft Skills badges and how they were being assessed to our employer advisory board, the employers immediately made the connection between these badge earners as candidates for a management track. One employer stated, “We would love to hire all of your graduates, but these soft skill badges will be extremely important to help us make right fits for those students with leadership capability”. 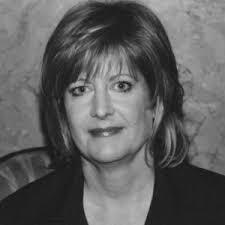 And, looking at the success of badging programs at companies such as IBM and Ernst & Young, digital credentials have transformed their training and talent management programs. This topic will be further explored in a future blog.